Has been trained in various aspects of yoga. 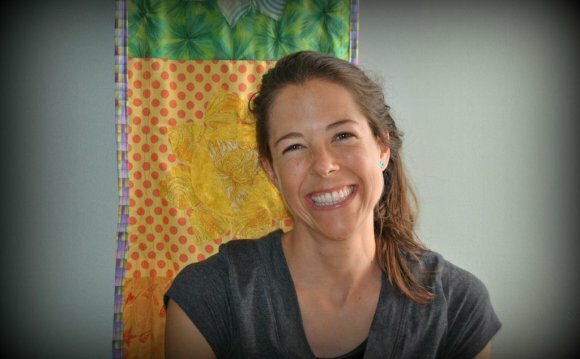 She completed her first 200 hour training in St. Louis at Yoga Source and went on to a full immersion into a yogic life living in a Sivanada ashram and completing a second teacher training under head Swamis (monks) and master teachers. She has since been training under international master teacher and acupuncturist Tiffany Cruikshank in yoga medicine focusing on various aspects of yoga with a primary focus in sports therapy. She has a broad understanding of yoga and does not see yoga for merely the asanas instead she focuses on yoga as a holistic practice that can eventually turn into a lifestyle and furthermore into a way of being. She understands the art of yoga as a serious lifestyle that includes scripture, chanting, pranayama (breath work), asana, meditation, service and much more but has also been able to adopt the practice to benefit all. Her belief is that yoga is medicine and that each person needs a different "prescription" or practice that will benefit them to the fullest extent. Yoga has the ability to heal on a physical level but also on a deep internal level and she hopes to guide classes that help each person understand themselves even the slightest bit more.